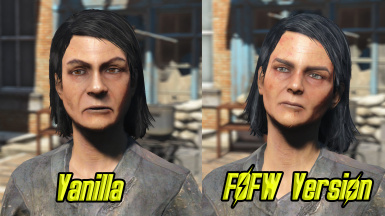 This will be an Ongoing project. 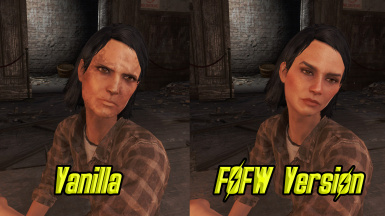 There will be many more faces added over time as I get to them for future updates. 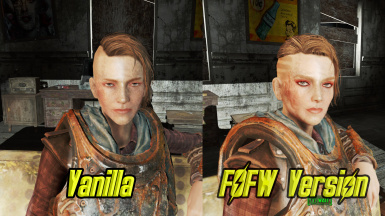 I've already started on the next batch so stay tuned. 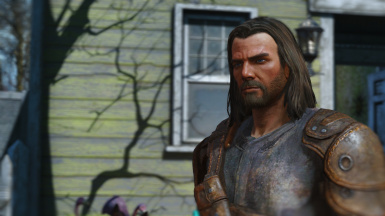 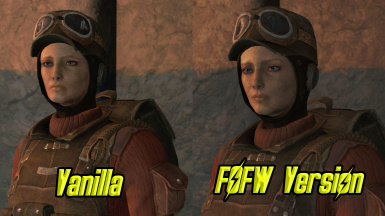 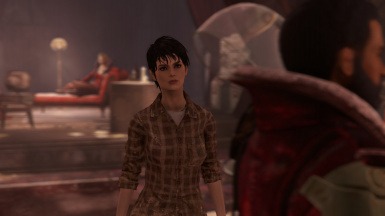 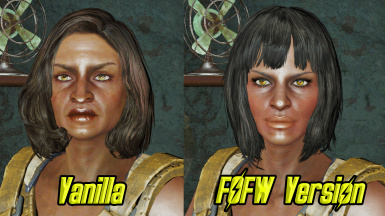 The intent of this mod is to change/improve the visual interpretation of Companions and various NPCs. 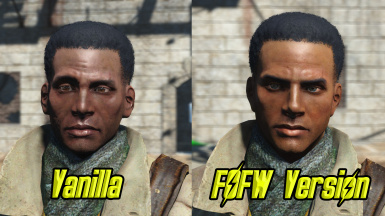 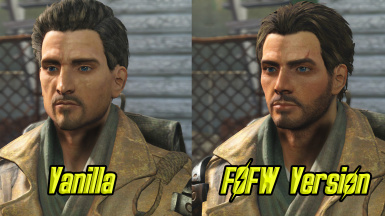 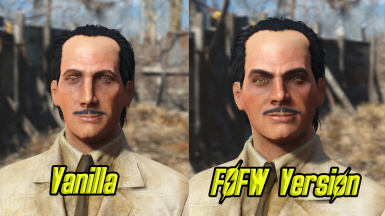 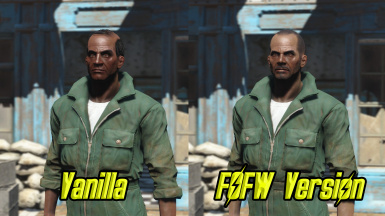 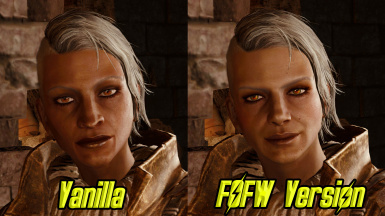 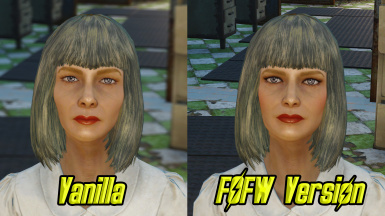 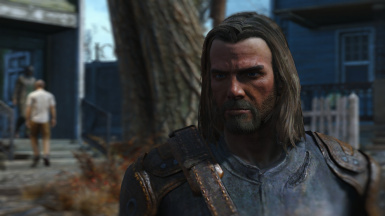 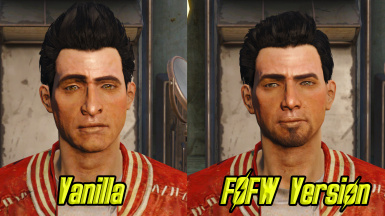 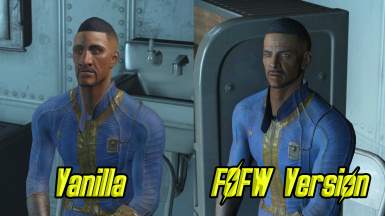 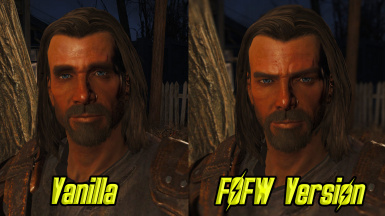 This mod is not intended to beautify every NPC in the game. 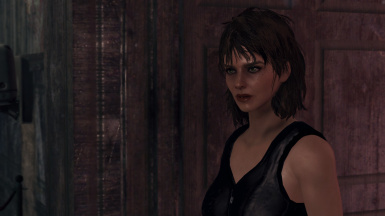 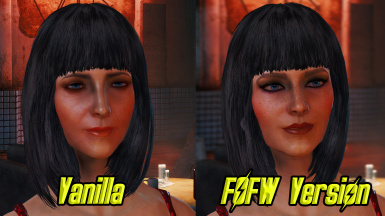 Meaning, if you're looking for a mod that makes everyone a super model then this mod is not for you. 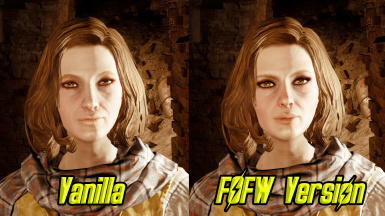 Old people look like old people as they should. 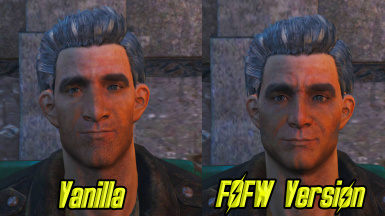 And young like young. 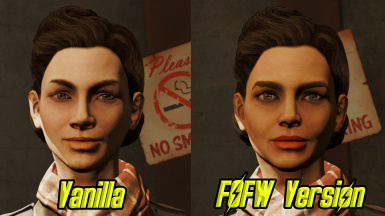 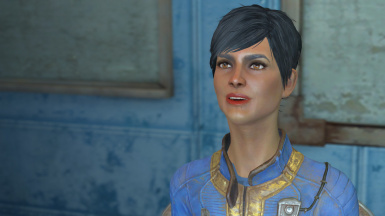 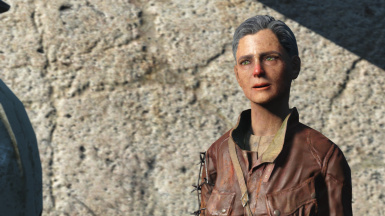 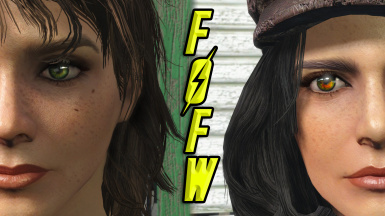 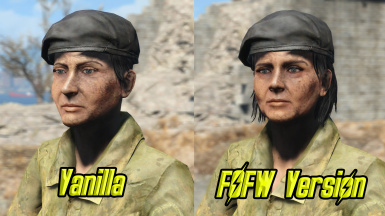 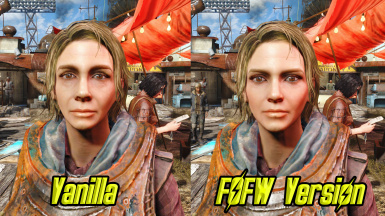 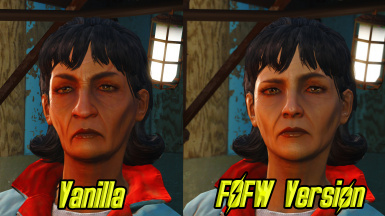 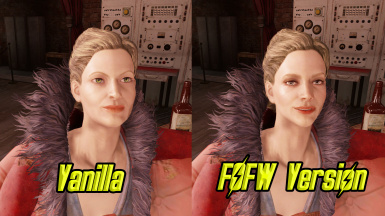 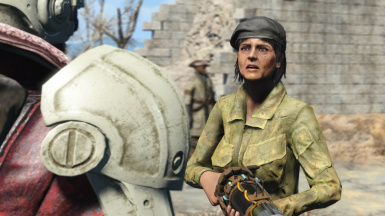 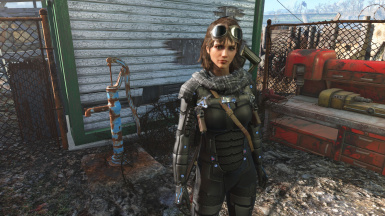 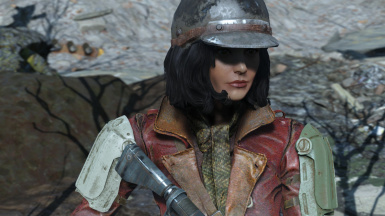 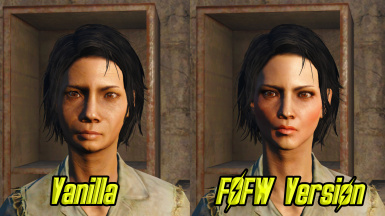 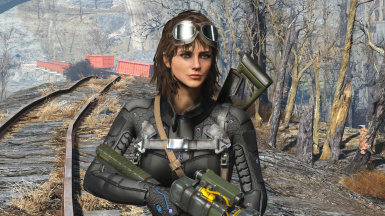 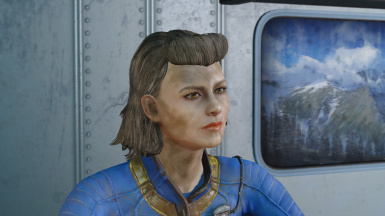 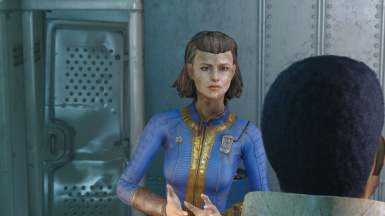 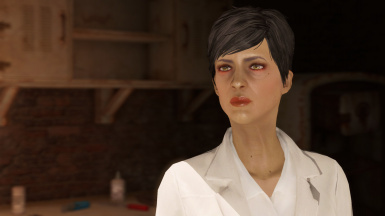 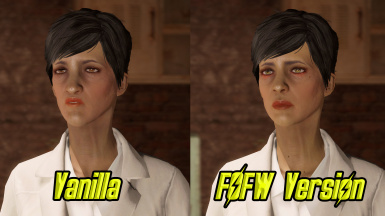 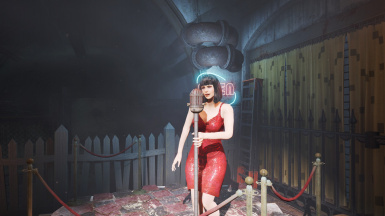 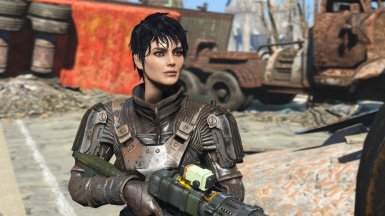 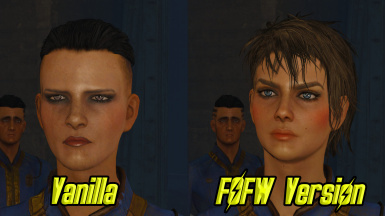 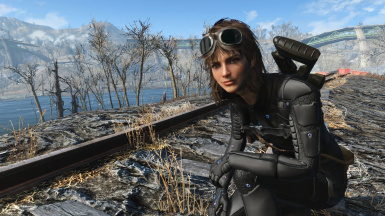 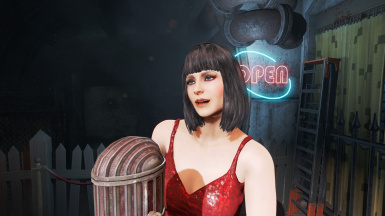 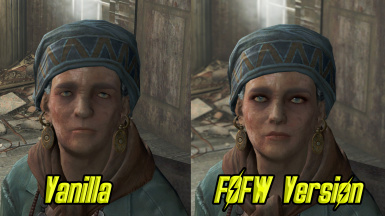 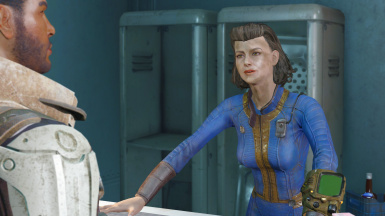 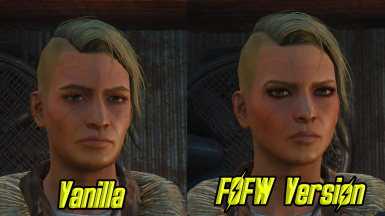 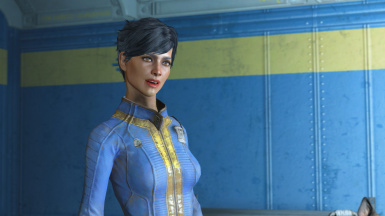 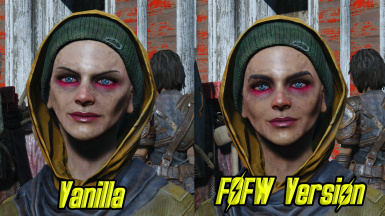 This is not a mod that turns Mama Murphy into a runway model. 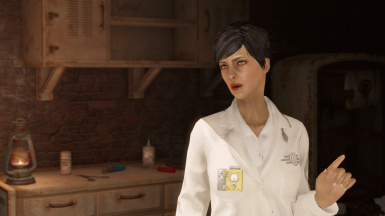 However, with that said, romanceable companions have received considerable attention to make them more appealing. 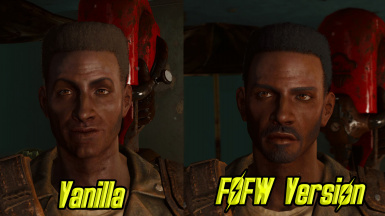 Think of it as you would movie casting. 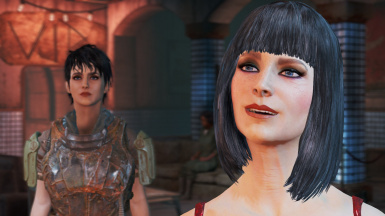 You wouldn't try to cast the most unattractive leads you could find unless the story warranted such a thing. 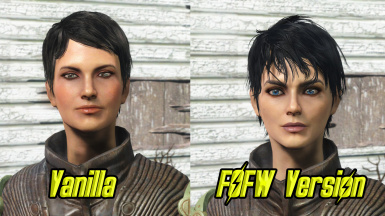 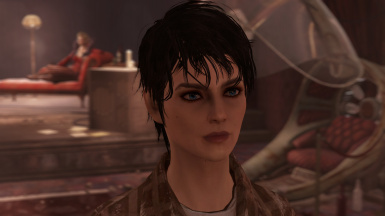 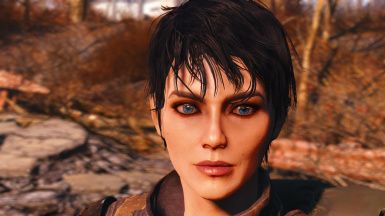 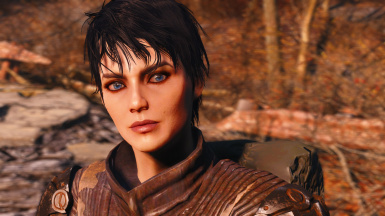 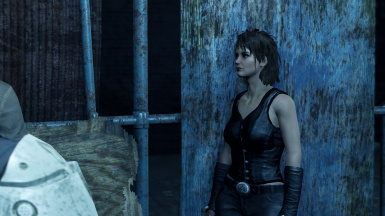 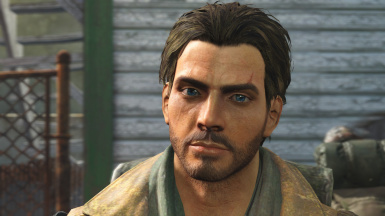 In this case, I wanted to make the companions appealing to the eye so that the Soul survivor was attracted to whichever one of their choosing via both chemistry and physical allure. 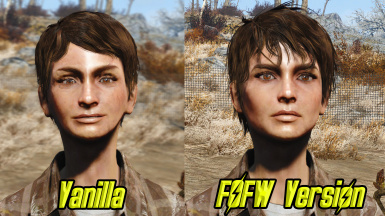 Anyway, the faces are intended to look more realistic, sorry anime fans. 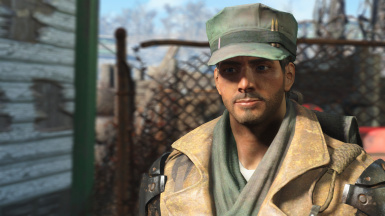 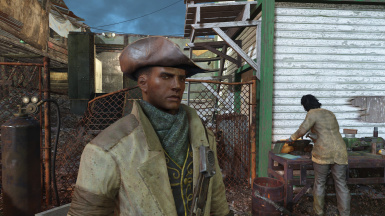 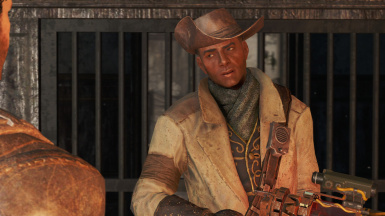 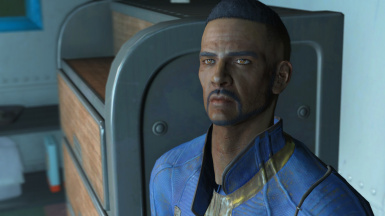 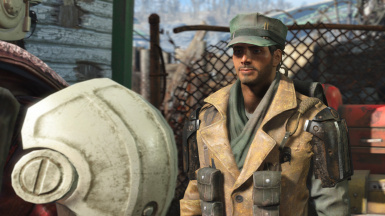 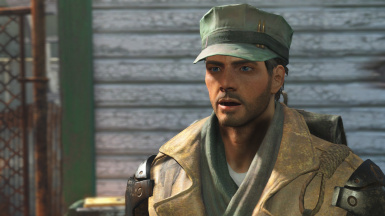 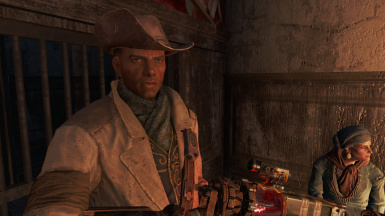 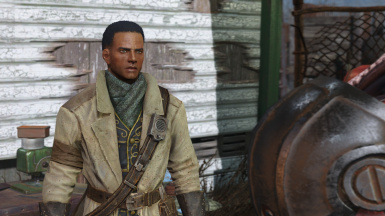 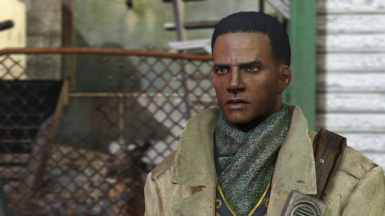 I also wanted to vary them so that you didn't have a case where Preston was basically an African American version of MacCready and vice versa. 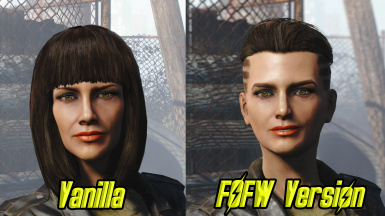 So hopefully each one has their own unique look. 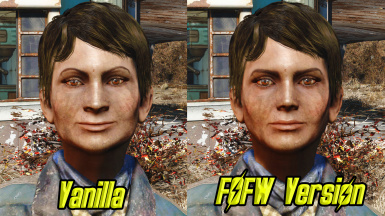 There were several NPCs that looked cartoony or simply horribly disfigured that I wanted to address as well. 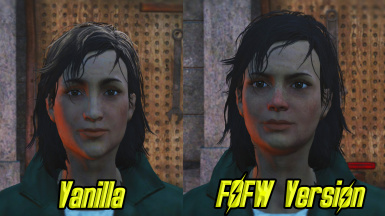 Some changes where done for the purpose of making the NPCs better suited to the roles they play within the story. 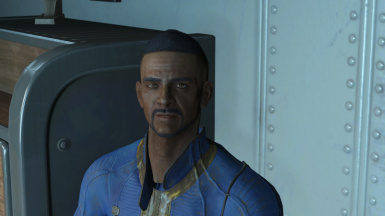 For example, I made Holt Combes look younger and little more handsome so that it might seem more reasonable that someone such as Tina DeLuca would hook up with him. 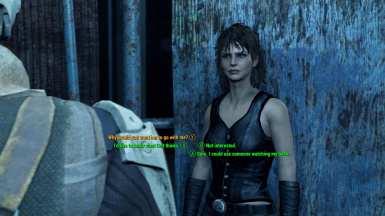 Same with Alexis Combes. 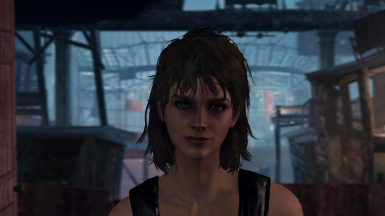 Wanted to give her a look that implied that she was a cute girl to Holt at some point. 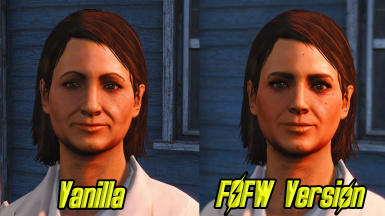 Some NPCs have stark changes while others have more subtle adjustments. 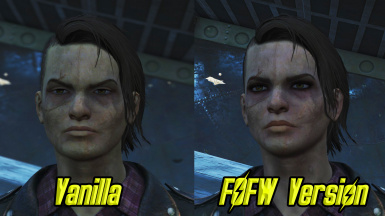 Again, the goal was for a more realistic interpretation of each. 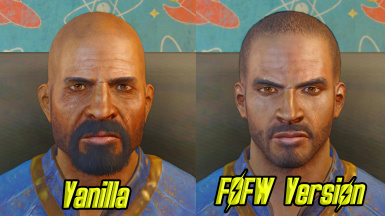 Another goal of this mod is to have all faces I rework available in one package. 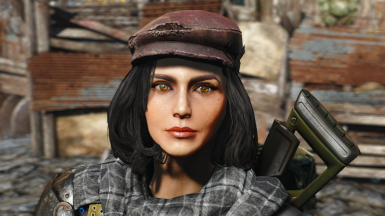 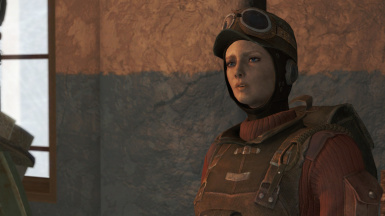 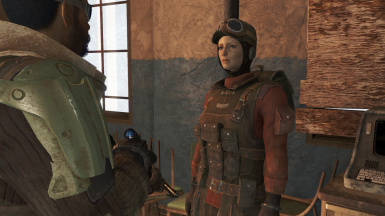 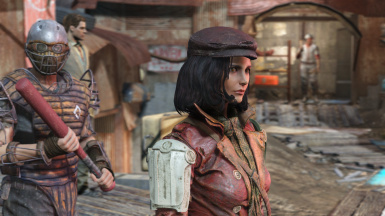 Therefore, any further updates to companions such as Piper, Cait ect will be found here. 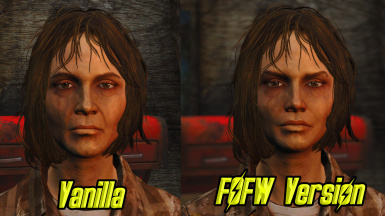 The reason for the reboot is that I was disatisfied with the initial mod that preceeded this one. 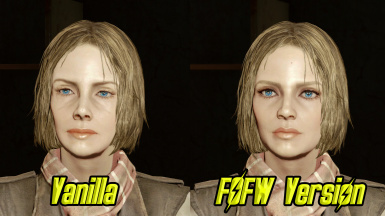 I feel these faces are much better than the previous works. 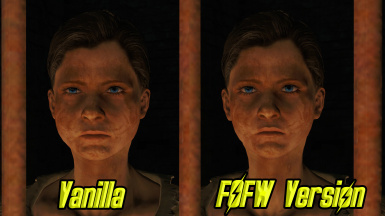 Learn as you go as they say. 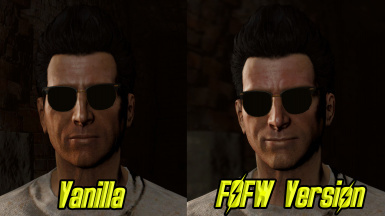 So hopefully you guys will enjoy using these. 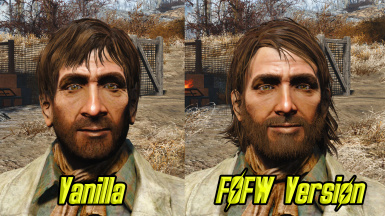 I appreciate all that supported the old mod and do hope you find this one to your liking also. 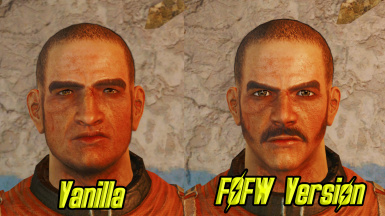 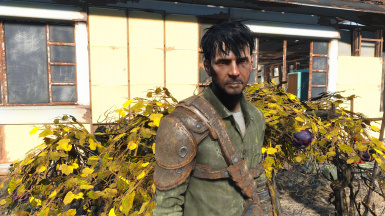 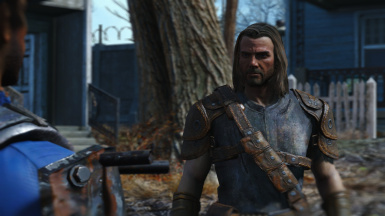 I will continue to add more faces as I come across more companions such as Deacon and the Snyth dude. 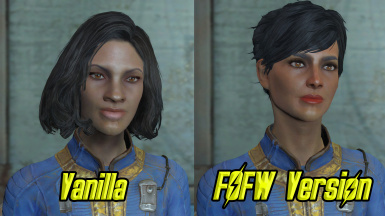 I've not encountered them in my current playthrough oddly enough. 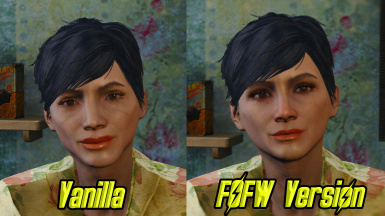 However, once I do they will also receive a facial makeover along with any other NPCs that look strange. 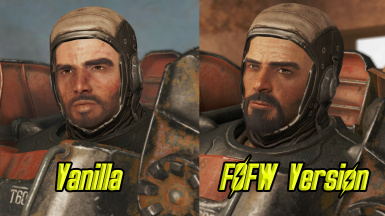 A lot of work went into these so I do hope you guys enjoy them. 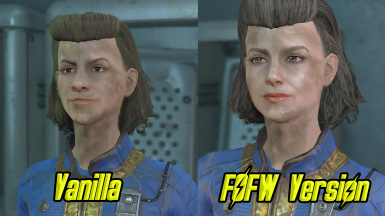 VERSION - 2.0 Added more than 50+ faces to choose from. 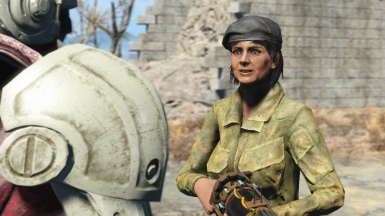 Also Updates for both Cait and Piper. 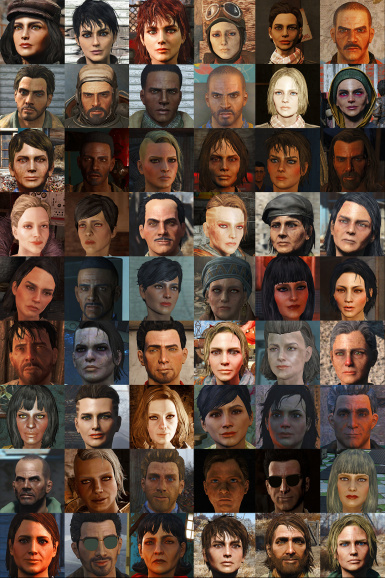 VERSION - 1.5 Now with 17 new faces plus 2 that were missing in 1.0 (Doc Anderson and Holt Combes) 19 in all. 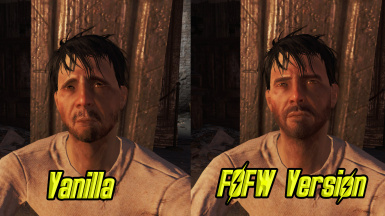 VERSION - 1.0 Now with Fomod support allowing you to either choose individual faces or use the all in one esp without the clutter. 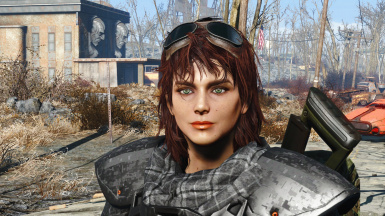 Version .01 - Hot fix file containing replacements for Cait now with deep red hair and Fahrenhiet. 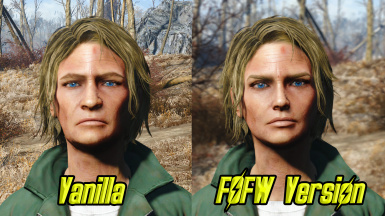 Also a tweaked version of Piper Version 3.1. 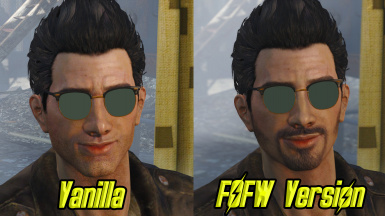 NeoKio for his help in making the FOMOD. 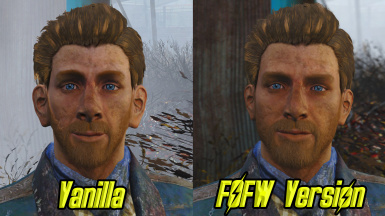 I know you didn't want credit but you deserve it bro. 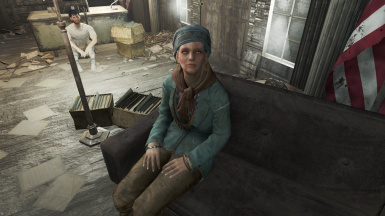 You took time out of your day to help and it's greatly appreciated.